WindowBlinds — is a program that enables Windows users to completely change the look and feel of the Windows user interface. Users customize Windows by using visual styles (skins) created for WindowBlinds. 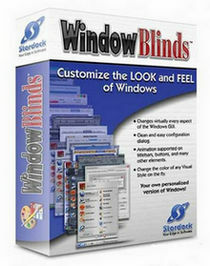 WindowBlinds skins virtually every aspect of the Windows GUI that one can imagine. And in fact, the enhanced visual styles used by WindowBlinds can skin things previously not thought to be skinnable such as logon/logoff dialogs, the «please wait» dialog, backgrounds in the Control Panel and other special folders, and more. Some skins have multiple sub-styles that can be applied to suit your personal tastes. You can also save your style combinations as presets for quick access later. Any changes and adjustments you make to a skin can be saved as a preset. Presets enable you to access previous customizations and apply them to a skin quickly. WindowBlinds enables you to change skins randomly at timed intervals. Your desktop will never be boring again when you are treated to a new skin every time you logon. Choose skins for each of your application types. For example, WindowBlinds enables your word processing software to use a different skin than your design programs. Firstly, if you installed any previous version, you must remove it completely including registry leftovers. Install the program from Stardock WindowBlinds 8.1 install file. Run the program for the first time. In the next screen insert an e-mail adress that you use! Then go to your mail box and click on the validation link to activate your 30-day-trial. 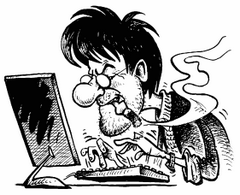 Now go back to the program and click on «Next», wait a while, it will process. You can adjust style for your system according to your preferences. Then close the program. Run «Crack.exe file» from Stardock WindowBlinds 8.1 folder as Administrator. Click on «Install Auto Reset». As of the moment you apply auto reset, it'll automatically reset the trial date on every windows start. That's it, you can now benefit from all features of WindowBlinds 8.1.